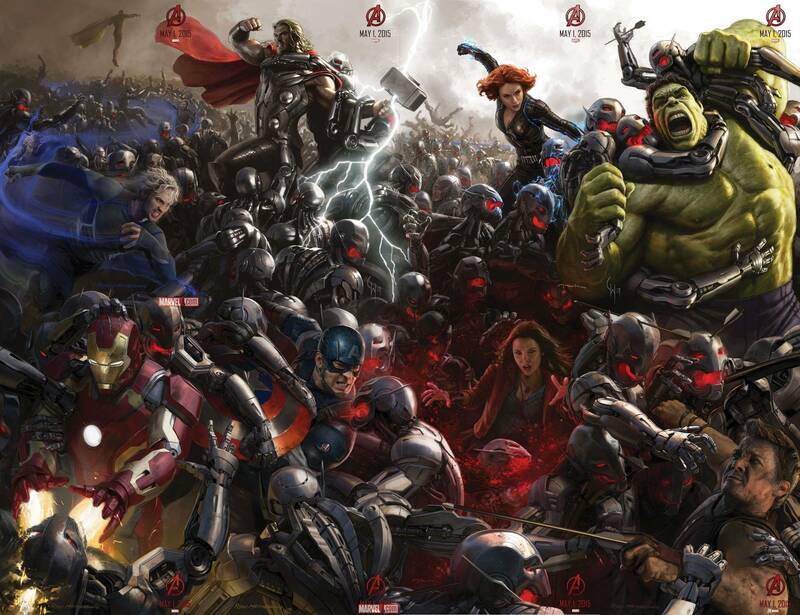 The SDCC Avengers: Age Of Ultron Poster Is Now Complete – Including Vision! We now have the complete picture, literally, of the mayhem and carnage we’re likely to see next May as the final 4 pieces of the SDCC concept art posters have now been released. So now that we have a picture of the action that we’ll be seeing, what’s the chances of a little teaser trailer? Please Mr Whedon? PLEASE?! ?